He is … Will Falconer and he is a digital entrepreneur. Plus, Will answers my patented rapid-fire questions at the end of the episode, which unveiled his productivity hack and the one email newsletter he can’t do without. 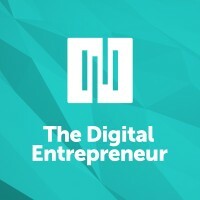 You’re listening to The Digital Entrepreneur, the show for folks who want to discover smarter ways to create and sell profitable digital goods and services. This podcast is a production of Digital Commerce Institute, the place to be for digital entrepreneurs. DCI features an in-depth, ongoing instructional academy, plus a live education and networking summit where entrepreneurs from across the globe meet in person. 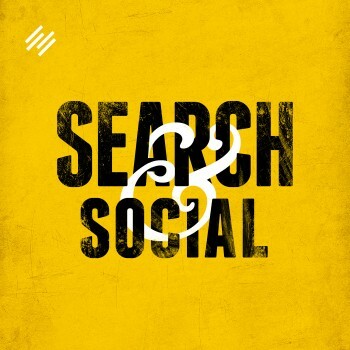 For more information, go to Rainmaker.FM/DigitalCommerce. 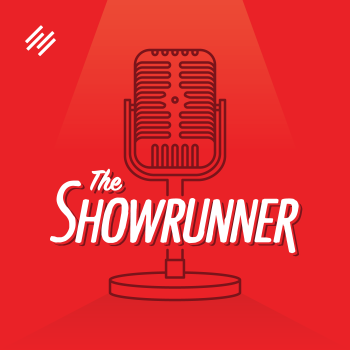 That’s Rainmaker.FM/DigitalCommerce. Jerod Morris: Welcome back to The Digital Entrepreneur, the show where digital entrepreneurs share their stories and the lessons they’ve learned so that we can all build better digital businesses. I am your host, Jerod Morris, the VP of Marketing for Rainmaker Digital. This is episode number 30. 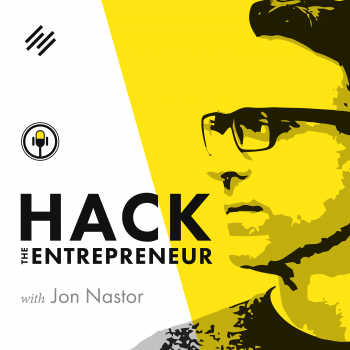 This episode of The Digital Entrepreneur is brought to you by the Rainmaker Platform. I will tell you more about this complete solution for digital marketing and sales later, but you can check it out and take a free spin for yourself at Rainmaker.FM/Platform. That’s Rainmaker.FM/Platform. On this week’s episode of The Digital Entrepreneur, I am joined by someone who is passionate about the health and vitality of your animals. He was a conventional veterinarian for seven years, but felt a calling from within that made him move on. Even though he knew that drugs and surgeries for animals worked for the most part, he felt that something was off, that animals needed a new way to be healed. Today, he hosts a number of vital animals courses, as he wants to share his knowledge of what practices prevent illness effectively, naturally, and sensibly in order to help people who want the best for their animals. He is Will Falconer, and he is a digital entrepreneur. Alrighty, Mr. Falconer, welcome to The Digital Entrepreneur. Will Falconer: Hey! Glad to be here, Jerod. Jerod Morris: Yeah, it’s awesome to have you here. I’m very excited about this conversation. To get started, I’ve always believed that the number one benefit of digital entrepreneurship is freedom. The freedom to choose your projects. The freedom to chart your course. Ultimately, the freedom to change your life and your family’s life for the better. For you, outside of freedom, what is the biggest benefit that you have derived from being a digital entrepreneur? Will Falconer: I’d have to say my biggest is reach. I’ve been a homeopathic vet for 25 years now out of my 37 or 38 as a vet. I found myself trying to fix broken animals one at a time who’ve been damaged by conventional medicine, mostly. All man-made disease. In the last five or eight years, I really realized that I’ve got to get out in front of that prevention that’s damaging them and teach on a much wider scale. Having a digital teaching ability has been huge. Now I’m able to get in front of — instead of one-on-one — 100 people. I’m on the cusp of bringing that up to a much bigger audience. Jerod Morris: What’s so fascinating about what you’re doing … We hear so much about us as humans how much we’ve been impacted by over-prescription of medication and poor diet, all of these different things. It’s interesting to see you applying that to animals. Are you on the cutting edge of that? Of getting this message out there? All these things are adding up. It’s been a complete correlation line in my graphing of this situation where the more an animal visits a vet, the sicker they end up being because of all these interventions. There’s a huge parallel. Jerod Morris: That’s a vicious unfortunate cycle. My goodness. Jerod Morris: What’s the response been? Have you found that these messages are met with some skepticism, or do you think that because we’re all starting to see this in our own lives as humans that people are receptive to it with their animals too, like it makes sense? I wrote a blog post that spoke about a client who wrote me and said, “I get shakes when I go to my veterinarian because she does this and she does that. If I miss a vaccination by a month, she makes me go through two more.” I wrote a blog post called something like: “Have You Been Abused by Your Veterinarian?” She was, basically, and it was her story. Conventional colleagues piled in and said, ” It’s a bad thing he’s doing,” and yet they didn’t have anything substantive to add to the conversation. I had a pile of people on Facebook who were giving me negative reviews. And then, lo and behold, the magic happened, which was my community jumped to my defense. I was busy making a course. My latest course is out now, and I was busy building it, and I didn’t have time or, really, inclination to keep up with all the chatter on Facebook. My community came to my defense and said, “Tell us what you’ve got that says we should be vaccinating — every year — our dogs.” They had nothing except screams and protests that, “He’s saying bad things,” and yada-yada-yada. They took the high road, my people did. They ended up forcing the hand of these people, and these people withdrew their negative reviews. It was really brilliant. Jerod Morris: Wow! The power of content and authority. That is when you know that you have a great audience, when they come to your defense like that. That’s phenomenal. Jerod Morris: Wow. That is awesome. Let’s go back. I want you to take us back to before you became a digital entrepreneur. What were you doing and what was missing that led you to want to make a change? Will Falconer: As I mentioned, really just working one-on-one. I’ve been a specialist in this field. There’s just a relatively small handful of us who are certified veterinary homeopaths. Like everybody in a busy veterinary practice, we’re busy with patients. That’s where I was buried. I consult with people both long distance on the phone and I consult with people here in Austin where I live. Jerod Morris: Wow. Very cool. Now, there’s a story that also helped lead to an epiphany. I think I was reading it on your website. Could you share this story of how your own cat Cali led to your “aha” moment? I found a particular remedy that read really well for her symptoms and I gave it to her. It’s a remedy made especially for things that happen during the puerperal period, meaning around the birth period. Lo and behold, she just turned around, on a dime almost. These things don’t go away in an hour, but it seemed like literally within hours she was perking up. The discharge slowed and started to smell more normal. Jerod Morris: How important do you think that personal story of yours — that personal connection that you have — has been in telling your own story and then attracting people? Getting people to be attracted to you and trust what you say. Or, a common one is, “We changed my dog who was struggling and struggling with the veterinary treatments of the day, and we finally just said, ‘Enough. We’re not going to anymore.’ We took him off a cereal food — a kibble they call it — and we put him on a raw food diet that’s balanced and more like what a wolf would eat. Slowly but surely he climbed out of the trenches and he got better. He’s never looked back, and we haven’t had any more drugs since. We didn’t need any.” I get stories like that to pull from all the time. Jerod Morris: Tell me about the milestone or moment in your career as digital entrepreneur that you’re the most proud of. Will Falconer: It’s continued. We did our first live webinar over the weekend and we’re on week two now, and everybody is just enthused and really happy to learn the stuff. There’s no mention of, “it’s too high-priced.” We’re getting value transmitted here. It’s real obvious. That’s probably the pinnacle of my digital entrepreneurship so far. Jerod Morris: How important was it for you as you were making the case for this higher price to really contrast it against what people might have to pay at a vet? That seems like it would be a really important case to make, especially as you’re trying to go up to that higher price point. Is that something that you tried to do? Jerod Morris: Wow. Those are some great testimonials to have. Will Falconer: Yeah. They really were. Jerod Morris: On the flip side of that, tell me about the most humbling moment in your career as a digital entrepreneur. And most importantly, what you learned from it. For the first nine months or a year, year and a half, it was pretty much crickets. I’d have a few comments here and there. Then it finally got going like a steamroller. It was humbling to know that I was touching so many people in such profound ways. I would have these heartfelt emails coming in after a blog post and a lot of real engaged comments after a while when I reached that tipping point. I launched it for just four days, a very quick launch. People stepped up and bought that book even if they already owned it, because they really love the message that “I’m going to get out in front of this prevention that’s causing damage.” That was humbling and inspiring, to know that I had these people really behind me. That they saw I was honest and solid, and I was offering something of value and I wanted to reach a wider audience. They were going to help me do that. Jerod Morris: Gosh. I’m sure there’s somebody who is listening to this right now who have been at this for a while who can really relate with you start out and you’re blogging to the ethos and it’s crickets. Eventually, it does turn into a steamroller if you keep at it, if you have that stick-to-itiveness. I have to assume that part of what kept driving you to keep going even when it was crickets was your passion for this project, for this topic. If you weren’t so personally invested, do you think is something that you would have kept going at and that you would be doing right now what you are doing? Will Falconer: No, I’m totally invested in it. I tell it to the reader. I say, “I think these vital animals can change the world one shiny, bright, healthy animal at a time, because they’ll be an example.” They become magnetic. They draw people to them. They go, “Oh my gosh! How did he get so healthy? He feels so soft. His eyes and his teeth gleam and he’s well balanced in his behavior.” They come up to an animal owner at a dog park and ask these questions. Then a conversation begins, “Oh! You don’t vaccinate him anymore. Interesting. You feed him a raw diet. You’re preventing heartworm — this supposedly killer disease — without any drugs. That’s amazing! Tell me more.” Yeah, it’s the passion that I have that keeps me in it for sure, and that’s kept me just plugging away. Jerod Morris: All right. We’re going to take a short break. We’ll be right back with Dr. Will Falconer to find out his one word. Stick around. As you probably know, stitching together a website that truly gives you everything you need to demonstrate your authority, connect with your audience, and earn recurring profit isn’t easy. You have to find good hosting, plus security and support you can trust, which is a headache. 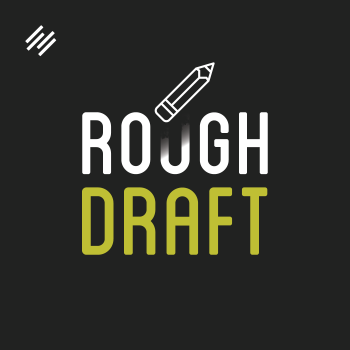 You need a patchwork of plugins that can prove to be a nightmare at the worst possible time. You need the ability to create content types ranging from blog posts, to podcasts, to online courses. What about integrated landing pages, email marketing, and marketing automation to deliver a truly adaptive content experience? These aren’t nice to have features anymore for the smart, profitable digital entrepreneur. These are necessities. You have two choices. One, you can piecemeal it all together, pay more in total, and then cross your fingers and hope everything plays nicely together — or you can use the Rainmaker Platform. Rainmaker is a fully hosted, all-in-one online marketing and sales machine that gives you everything out of the box in one dashboard. 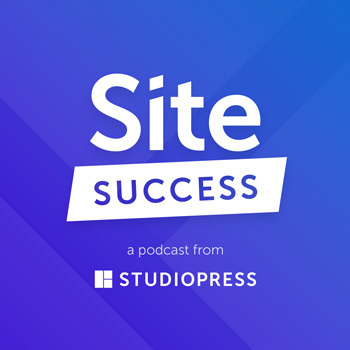 You can run a successful podcast, host authority-building membership areas and sell in-depth, module-based, revenue-generating online courses. You can even use RainMail to host all of your email lists and send broadcast emails and autoresponder sequences right there in your Rainmaker dashboard. Plus, the full email integration with your website platform gives you insight about your audience and content flexibility that you simply cannot get with separate solutions stitched together. Rather than having to choose from one of 100 different places for support when you have a question, with Rainmaker it’s just one support team ready and excited to help you out. 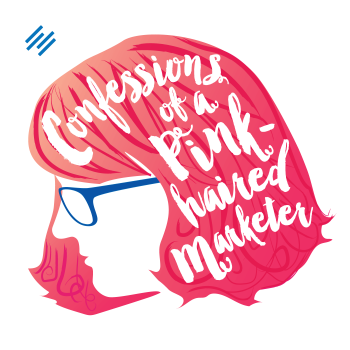 All of these reasons and more are why Raimaker.FM runs on Rainmaker and why all of my personal sites do too. Don’t take my word for it, check out the Rainmaker Platform for yourself. Go to Rainmaker.FM/Platform and start your free, 14-day trial today. 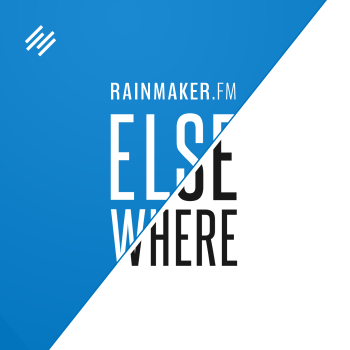 That’s Rainmaker.FM/Platform. Now, back to my interview with Will Falconer. All right. We’re back. Let’s fast forward to now. What is the one word that you would use to sum up the status of your business as it stands today? Will Falconer: It is growing at rocket-speed. 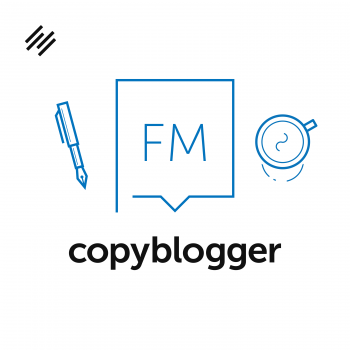 I’ve combined what I learned from Copyblogger and my experience blogging with Launch Learning from Jeff Walker. Between the two, it’s been like this rocket ship ride upward now. I’m reaching way more people and growth is just … Finally, my list has gone from hovering around 5,000 to well over 10,000 in this last launch. It’s just up and up from here. Jerod Morris: We will officially file the one word as “rocket ship.” I like that. Very descriptive. Things are going great, which is phenomenal. It’s great to hear. What is your biggest pain point though as a digital entrepreneur right now? Will Falconer: I think it’s still probably finding the balance to get everything accomplished that I want to. I don’t want to completely let go of practice, because that’s fulfilling in itself. Yet I’ve dialed it back. I’ve raised my fees. 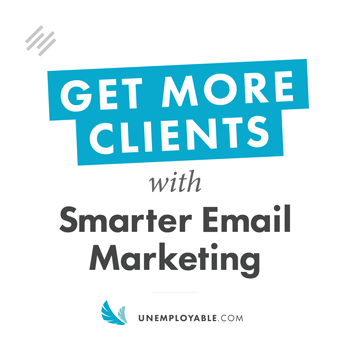 I’ve discouraged new clients for a while, especially while I was launching this course. It’s keeping a hand in that while growing a digital presence ever bigger. Wanting to reach that point where I’m not spending seven days a week, which I have been for quite some time. Not necessarily all eight hour days or anything. I’ll sneak away. Just getting to that point where I’m more automated, less involved on a day-to-day, hour-to-hour basis. Jerod Morris: How are you trying to do that? What are some ways that you’re trying to become more automated? 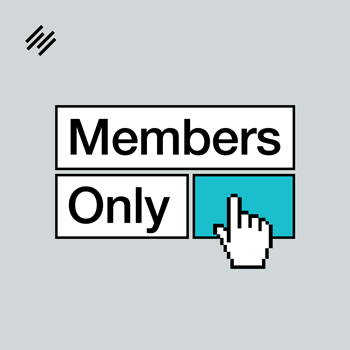 Will Falconer: Now that I’ve got some courses in the can, I’m exploring a membership site idea. I’ve had a free membership that’s been very popular for a long time, but I’m exploring how to take that — again, without tying a ball and chain around my leg — to bring people in at a regular income level so I’ve got some stability. It’s great having a course to launch. Now that I’ve got a couple in the can I can re-launch them, of course. But that’s a real episodic income. I want to explore more about how to get a membership site rolling and keep it stocked with useful content. But not to where I’m having to feel pressured about creating forever. Jerod Morris: Trying to find some recurring revenue model to go with the launch model that you have with the courses. Jerod Morris: Is it just you, or do you have a team or virtual assistants that you work with? Will Falconer: For the last two courses, I’ve hired a tech helper to be behind the scenes in Rainmaker to make sure that I don’t have to think about that because I’m so busy with so many other plates on sticks spinning in the air. I’ve found a tech person now who’s really in with both feet on Rainmaker who has helped me. I’ve just, this time, hired a couple coaches in exchange for my course. They’re right up at the top level of all my students, so they’re in there fielding questions in my Facebook forum, my private group that people are discussing this course on. I’m going to keep them on board, one way or another. They’re just extremely valuable. I’ve had a transcription person. Just odd jobs here and there, not a steady employment. I’m not sure I want to change that model too much. I’m really happy with it right now. Jerod Morris: When you say coaches, not coaches for you, but people who are really good students and they’re now helping you coach the other students who are in there in exchange for free membership in the course? Jerod Morris: Got you. I want to talk about the courses a little bit. I think you said that your courses for 2016 have closed. Your launch just ended, so the doors have closed for 2016. I’m curious what lessons you’ve learned from this year’s courses and from your latest launches in addition to what you talked about with the pricing, and how you intend on applying those lessons to the future. Will Falconer: I think I learned that I probably started out a little too low. I didn’t really have a feel for a price point when I began. I’m an expert. I’ve got authority coming out of my ears. I’ve been doing vet work for 36 years and I’ve been on both sides of the fence. This one deep dive is a pain point that many pet owners write me about. I’ll be able to offer that at a more affordable level. My vision is — we’ll see if the hallucination comes true — that they’ll pile in at this lower price point, appreciate the knowledge they’ve gotten for it — a relatively small chunk of important knowledge that helps them through a pain point — and then be ready to step up to a higher-priced course when it comes back out again because they’ll see the value of my teaching. Jerod Morris: Very smart. Let’s open up your toolbox, if you don’t mind. 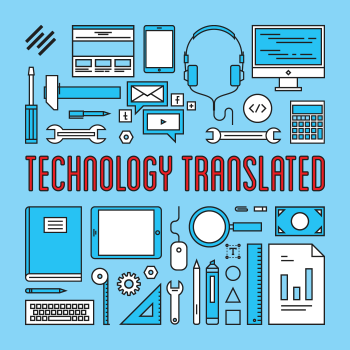 What is the one technology tool that contributes the most to your success as a digital entrepreneur right now? 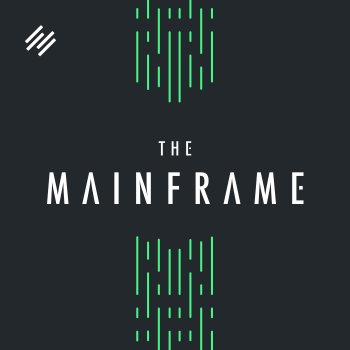 Will Falconer: If the Rainmaker Platform counts as a tool, although it’s a multi-armed tool, I think that’s the one. Jerod Morris: We’ll count it. It’s all-in-one. We’ll count it. Will Falconer: Yeah. The ability to blog. I have yet to jump in on RainMail, but that’s coming real soon. The ability to send these courses out to people easily and have them get in and log-in and get all their free membership stuff. That’s been the most powerful thing. That was huge. I’m not a big reader of things that aren’t online, but I got this in paperback form and I dove in and I went, “This is going to make a huge difference,” and it’s proved to do so. Jerod Morris: You had Rainmaker first and then found the Jeff Walker book to help you then maximize Rainmaker, or was it the other way around that you found the book and then needed the tool to help you make it happen? Will Falconer: No, I was an early adopter with Rainmaker. I got in right at the get go. Launch came along probably a year in. Jerod Morris: Got you. Okay. Earlier, I asked you for the one word that you would use to sum up the status of your business as it stands today. You said, “rocket ship.” “Growing at rocket speed,” I believe was the exact phrase. If we talk again in a year, what do you want that one word to be? Will Falconer: Balance. I want to have that steadier, less-intense time commitment, and yet still be serving a large amount of people and having more time to pursue things that are non-work related. Jerod Morris: Alrighty. Are you ready for some rapid fire questions here to close this episode out? Jerod Morris: Alrighty. If you could have every person who will ever work with you or for you — or in this case, really, let’s say any person who will be a student at one of your courses as well, we can look at it that way. If you could have those people read one book, what would it be? Will Falconer: Quite different between the two groups. Jerod Morris: Yeah, I’d be interested in both answers, actually. Will Falconer: Okay. My students … one book. It’s hard to narrow it down to one. There’s a lot of good things out there. Although it’s come out in probably third or fourth edition, the students can learn a lot from my teacher in homeopathy, Dr. Richard Pitcairn. He’s got a book called The Complete Guide to Natural Health for Dogs and Cats. He’s had since I got my start in holistic medicine 20, 25 years ago. Something like that. For the people who are in the digital world as entrepreneurs, I think that paperback book called Launch was a game changer for me. Jerod Morris: Launch by Jeff Walker. Jerod Morris: Cool. All right, second question. If you could have a 30-minute Skype call to discuss your business with anyone tomorrow, who would it be? 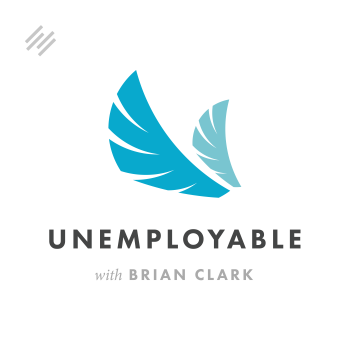 Will Falconer: Brian Clark. I’d get on the horn with him in a minute. Jerod Morris: I think since I’ve started asking this question, he’s gotten about half of the responses. I’m just going to start booking appointments for him on his calendar. He’ll wonder where they’re coming from. Jerod Morris: What’s the first question you’d ask him? Will Falconer: I think what I’ve got is a whole lot of valuable content that I haven’t really gotten focused into driving income. So how to take that valuable content and turn it into funnels that bring people step-by-step through what I’d like them to know and to come out on the other end with a steady income. Jerod Morris: That is a great question. Wow! I’d like to hear his answer to that too. 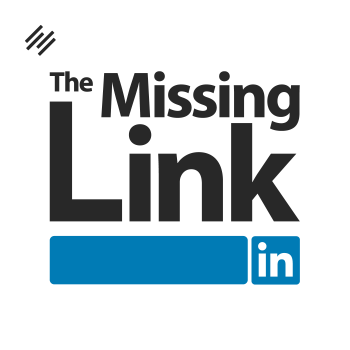 What is one email newsletter that you can’t do without? 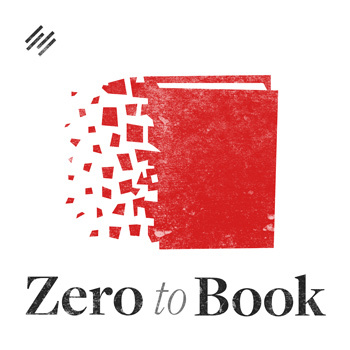 Will Falconer: I pretty much read everyday Seth Godin’s newsletter. The smaller they are, the more pithy they are, the more I appreciate them. Jerod Morris: Yeah. That’s a great one. What productivity hack has had the biggest impact on your ability to get more meaningful work done? Will Falconer: I think a big one for me has been, because I write so much, it’s been using Scrivener to have lots of pieces that I can juggle and play with. When I’m writing something I love to have that broken down into subheads and content pieces under those subheads. If I decide the order is wrong, I can easily just drag one up or drag one down. It’s such a great tool for such an inexpensive price, that it’s changed the way I write. 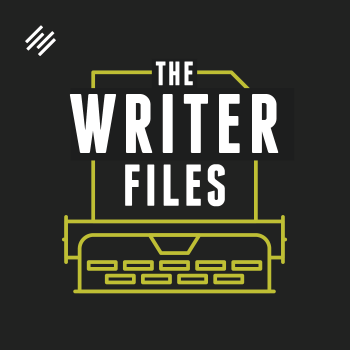 Jerod Morris: I’ve heard a lot of good things about Scrivener. I think I’m going to need to use it too, for a couple of my projects. Finally, what is the single best way for someone inspired by today’s discussion to get in touch with you and to learn more about how to take better care of their animals? Will Falconer: They would just go to VitalAnimal.com and dig in. There’s a contact page there, of course, to reach me directly. It takes you right through a whole lot of good content about things that you can do right from the get go about feeding, about thinking about vaccines. I’ve got a Begin Here page, for instance, that’s got some of my top content in it. Jerod Morris: Yeah. I recommend that people check this out. Not just to learn more about how to take better care of their animals, but also from a meta perspective. How you’ve set this up with your content that leads people to the courses — obviously you’ve been very successful with it. I think your site is a good example for how to do that and how to set that up properly. Another good reason to go there. That’s VitalAnimal.com. Will, thank you so much for being here. This was a pleasure. I really appreciate you sharing your stories and your lessons with us here on The Digital Entrepreneur. Will Falconer: Thanks for having me Jerod. My pleasure. Jerod Morris: Sure. We’ll talk soon. 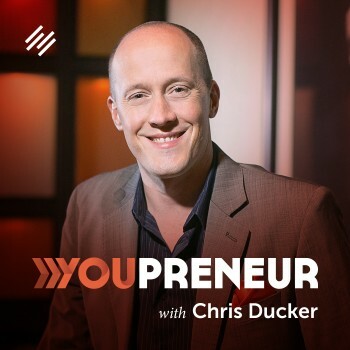 My thanks to Will Falconer for taking the time to join us on this episode of The Digital Entrepreneur. My thanks also to Caroline Early and Will Dewitt for helping me out on the production side. Of course, Toby Lyles and his great team at 24 Sound for editing it, putting it all together, and making it sound good. 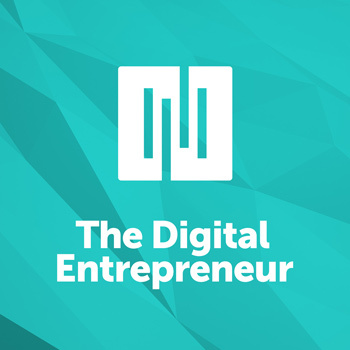 Of course, my thanks to you for being here and listening to this episode of The Digital Entrepreneur. I always greatly appreciate your support and you lending me your ear for the half hour, 35 minutes, 40 minutes — however long we’re here talking. One last reminder, go to Rainmaker.FM/Platform. Check out the Rainmaker Platform. Take it for a free test drive. You will like it. But don’t take it from me, go check it out for yourself. 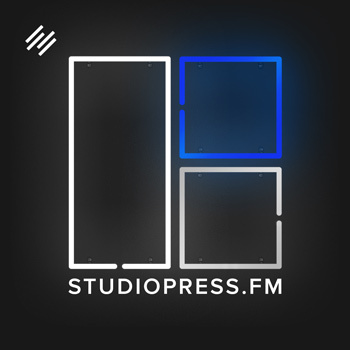 Rainmaker.FM/platform. All right. I will talk to you next week on another brand new episode of The Digital Entrepreneur. Take care.